The Secret Science Club: Light Up Your Brain! The Secret Science Club presents Neurobiologist Vincent Pieribone at the Bell House on Wednesday, February 4 @ 8 PM. FREE! Light Up Your Brain! The Secret Science Club presents Neurobiologist Vincent Pieribone at the Bell House on Wednesday, February 4 @ 8 PM. FREE! Secret Science Alert: This month, the Secret Science Club meets at the Bell House, the all-new all-awesome venue in Gowanus, Brooklyn, created by the owners of Union Hall (our lovely hosts). Make like a bathysphere and submerge, because the Secret Science Club is going down. Intrepid neurobiologist (and scuba diver) Vincent Pieribone lures us into the depths—where ocean research and brain science collide. Dr. Pieribone uncovers the secrets of the seas and technicolor reefs in his quest for biofluorescent creatures—and then shows how they can be used to create glowing proteins that make cells and neurons light up in the lab. --What do jellyfish and coral reefs have to do with the human brain and quest for medical cures? --What makes undersea animals glow? --How can biofluorescent technology link the human mind with machines? 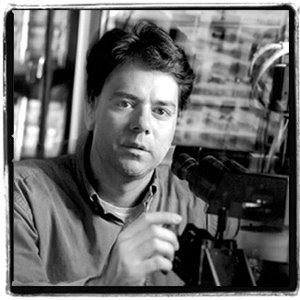 --What are the latest advances in fluorescent micro-photography? 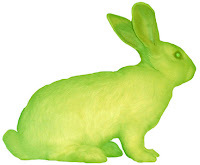 --And whatever happened to that transgenic, glow-in-the-blacklight rabbit in France? Plus Special Guest: Marine Biologist and “Aglow” co-author David Gruber on coral reef ecology… DIVE! DIVE! -- Try our oceanic cocktail: the Sea Shandy, a phosphorescent libation that will snap your synapses . . . 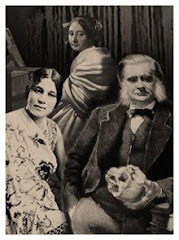 The “Secret Science Club” meets Wednesday, February 4 at 8 pm @ the Bell House, 149 7th St. (between 2nd and 3rd avenues) in Gowanus, Brooklyn, p: 718.643.6510. Subway: F to 4th Ave. Doors open at 7:30. PLEASE BRING ID: 21 and over only. Tip: The Bell House has 2-for-1 drink specials before 7 pm if you want to get your sauce on before the lecture . . .
Great science club and topics. I wish such clubs would be as well in Istanbul. Cool post. Jellyfish are simple organisms. If you strip down all of the higher functions of thought from the human brain, you really end up with a very simple nervous system...as simple as the jellyfish.